Here we provide more information about the club including its history, a tri-fold brochure which describe the club and how we operate, media and links to more information about the club and the model railroad hobby. 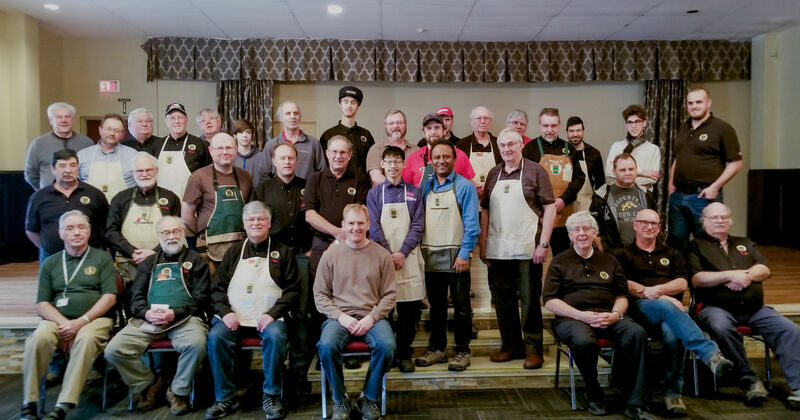 33 club members pose for a club photo during the 2019 January OVAR operating session. 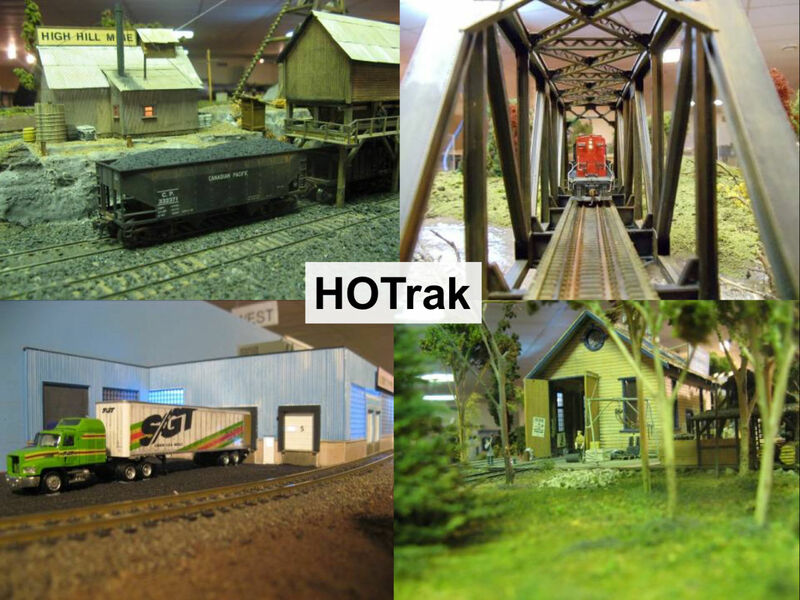 The Ottawa Valley HOTRAK club was founded in April 1996 as a reincarnation of an earlier modular club in Ottawa that had disbanded a few years earlier. The founding members got together and laid out some basic principals for the club. The three most prominent were: Operations; double and single track Main Line running; and loop to loop operations with branch lines. Standards were set out for module construction based on Moccasin Modular Railroad Club Standards and Free-mo Standards and the development of Transition Modules to marry the two together. All modules or groups of modules were to be independent from each other and had to physically and electrically match at the interfaces. From September till June the Club gets together approximately every four to six weeks for an Operating Session. Mixed in with this we also participate in a Train show or two and annually the OVAR (Ottawa Valley Associated Railroaders) Rally and the OVAR Flea Market.